The oh-so chic celebrity stylists and designers who graced me with their impeccable talent and advice at the conference. 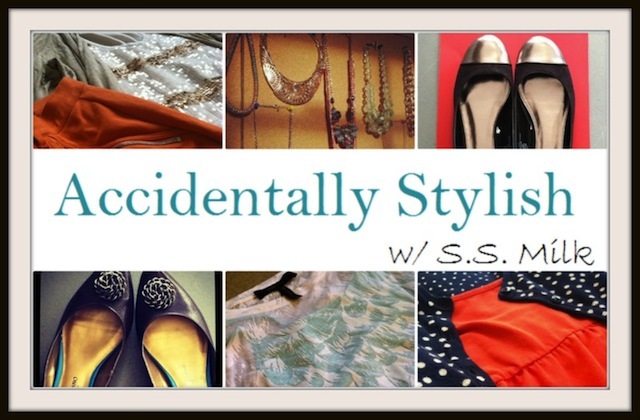 AGJeans corner with their "Fall Inspiration Sweepstakes". 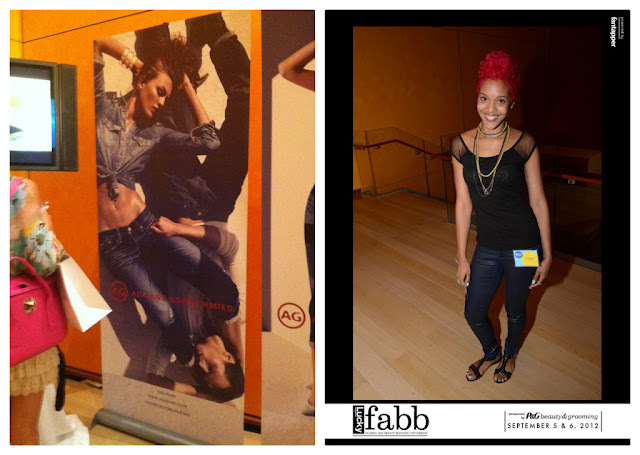 One of the lovely ladies at the AGJeans display with fiery red hair. LOVE IT! Isn't she just the cutest? 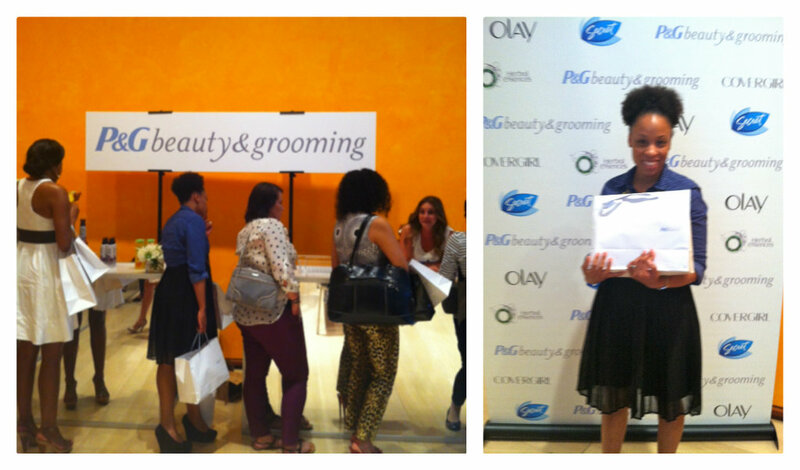 "Shopping" with P&G Beauty products. Me holding my heavy bag of P&G products from Covergirl, Olay, Secret, and Herbal Essences. I can't tell you how excited I was to be able to try all those products. Can you read the giddiness in my face? 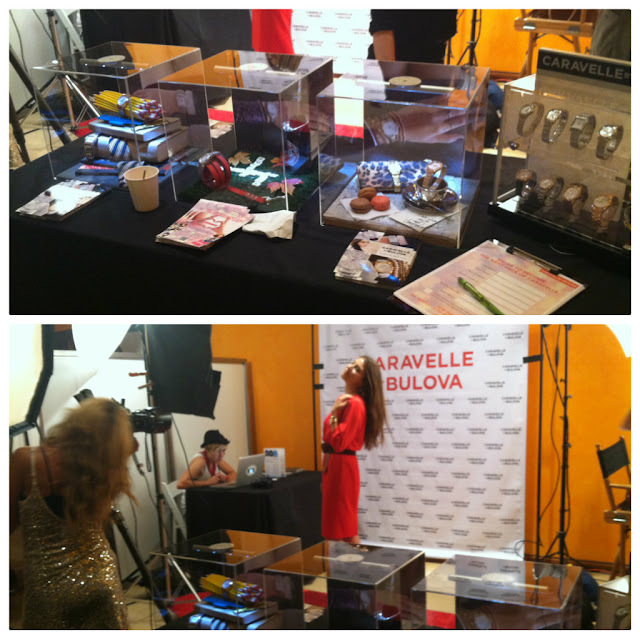 Caravelle By Bulova had a mini fashion shoot for their contest "The Face of Caravelle by Bulova". I got to style a watch and take some pics of my own. The cherry on top? I get a free Caravelle by Bulova watch!! So stoked! I met some amazing bloggers and contacts during the event. Starting with Ginger from Electric Blogerella, Amber from Purple Paparazzi, and Jessica from QVC. Other fabulous ladies not pictured here are Nicole from Manners and Moxie, Kaitlyn from Blog Trends, Erika from Style Activist and Alexandra from She is Red. Each one has an incredible talent of their own and I was inspired by each of them. THE SWAG BAG!!! It was stuffed with so many goodies I had to keep switching it to each shoulder because the weight of it. There was jewelry, beauty products, gift cards, nail polish, the list goes on. 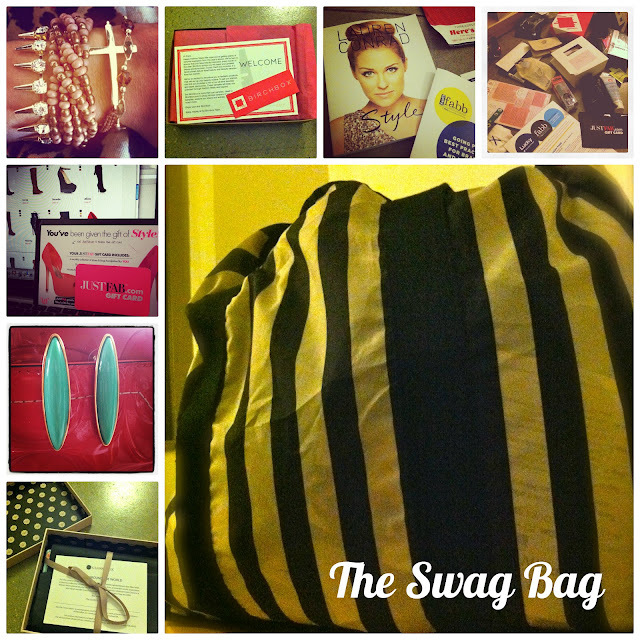 They don't call it a swag bag for nothing. 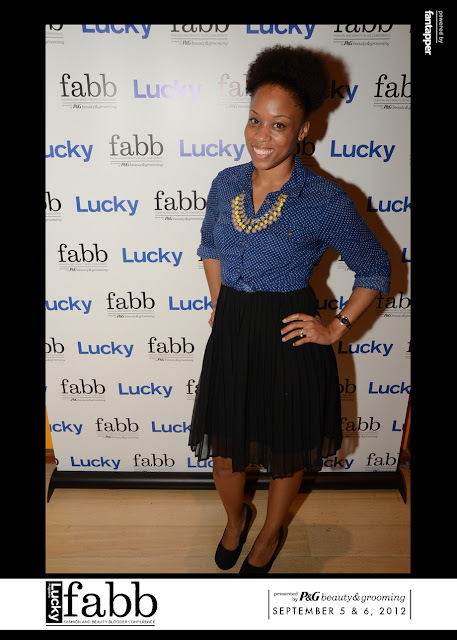 Lucky Fabb left me filled with so much excitement and joy to be a part of the blogger community. The amount of creativity out there is astounding. My experience at Lucky Fabb has me looking forward to continuing my journey as a personal style blogger and hope that I can inspire others just as much as this conference has inspired me. Now (clicks pen) who wants an autograph first? I'm sure IFBCon was amazing! 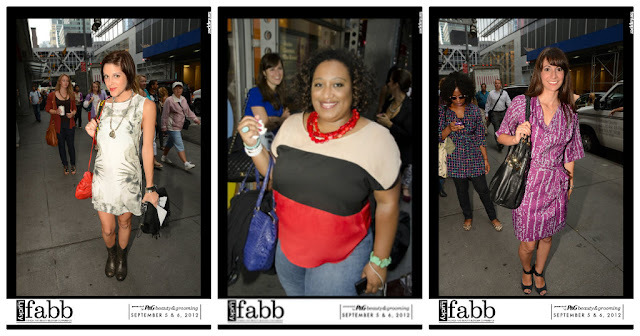 Yeah I have to agree about the blogging events being such a huge motivator. I left the conference feeling so inspired. Maybe we can meet up at another one! Thanks for reading!